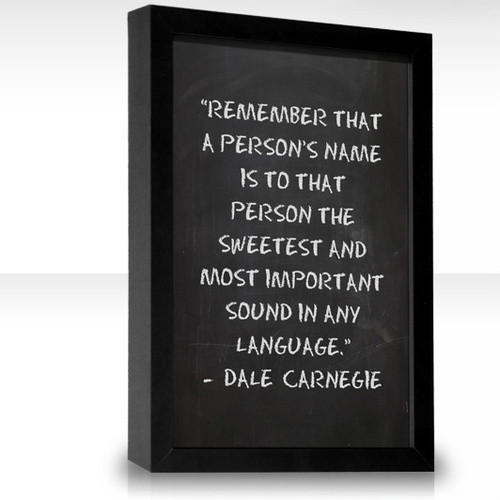 If you would like to have a more productive and efficient work environment, make sure that your team members understand the importance of approaching someone with their name. I cannot tell you how many times I have heard “hey” or “hey you” without mentioning a name, when someone needs something from another person. Workers are human beings, not bodies, not numbers – they are the ones who make sure to get a quality product out of the door. Would it be worth it to remember their names? Mirror, mirror on the wall……This is the most powerful message for all. If you demonstrate that you truly care by getting to know people, the employees will follow your lead. Guaranteed!